Therefore freely available, low cost flexible plastic substrates such as polyethylene naphthalate (PEN), polyethylene terephthalate (PET) and triacetyl cellulose (TAC) cannot be used for processing conventional silicon and oxide based technologies for flexible electronics. This results in the reliance on flexible polyimide substrates that can withstand such process temperatures, which bring cost and yield constraints that limit the scalability of such displays to larger areas today. This is one of the reasons why flexible OLED displays, which are widely manufactured today using silicon TFTs on polyimide, are exclusively focussed on small area displays for flagship smartphones and smartwatches. At FlexEnable we have developed a complete manufacturing process at low temperature using organic thin-film transistors (OTFT) – bringing major advantages in cost and scalability when it comes to building electronics on plastic. Active thin film transistor (TFT) arrays require connections to conventional silicon chip circuitry. This requires bonding processes that can form reliable connection to the silicon chips but without damage to the plastic substrate during the bonding process. Low temperature processes are key in achieving these two key requirements. The choice of bonding materials and backplane circuit design also allows the use of conventional silicon driver chips while accommodating conventional heating of these silicon components during operation. Bonding silicon chips on plastic using low temperature processing is another one of the suite of processes that FlexEnable has developed strong IP and know-how in. It uses standard FPD equipment resulting in high yield. Unlike conventional silicon and oxide technologies that use high vacuum deposition systems to coat the active materials, organic electronics require the solution coating of liquid polymers such as the semiconductor and the dielectrics. These active materials can be deposited using several solution coating processes like slot-die coating or flexographic printing. Here FlexEnable has developed a low-temperature high-performance OTFT stack that is scalable to any FPD Gen size and can be used to make OTFT arrays for displays and sensors such as optical image sensors that can be used for X-ray imaging or fingerprint imaging and arrays for pressure sensors. These high performance OTFTs can also be used to print gate on array circuitry in order to optimise the OTFT array design and avoid using conventional silicon gate drivers. Conventional LCD displays are made on glass using standard silicon based technology. The liquid crystal (LC) cell assembly process on glass helps to maintain a constant cell gap during the display operation and life time. FlexEnable has developed a process that enables the assembly of LC cells on plastic at high yield thereby realising organic liquid crystal displays (OLCDs) on plastic. This patented process also includes technology that maintains the cell gap on the flexible plastic substrates. Such technology is not only applicable to OLCDs but also to other applications requiring the assembly of fluidic materials between plastic substrates. FlexEnable has developed a comprehensive tool kit for low temperature processing on plastic that is currently being adopted for the mass manufacture of OLCD displays for consumer electronics, automotive and commercial applications. However, this tool kit can also be used in the fabrication of image sensors, smart systems as well as biosensors. 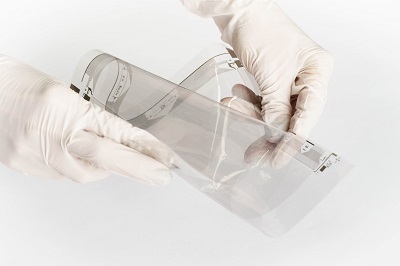 FlexEnable’s tool kit and the low temperature processes that comprise it are the lowest cost manufacturing process for flexible displays and sensor arrays. Low temperature processing of electronics will continue to redefine how we manufacture and where we use, electronics in our lives, as well as being a greener way to manufacture electronics. For more information on our low temperature processing tool kit please get in touch with FlexEnable at info@flexenable.com.